Job search is hard enough without these extra obstacles in your way. The biggest hurdle older job seekers usually face is that many recruiters tend to be put off by their age. While recent graduates struggle mainly with their lack of relevant experience, older job seekers unfortunately have a much longer list of prejudices stacked against them. Here are some of the most common ones and how to deal with them. 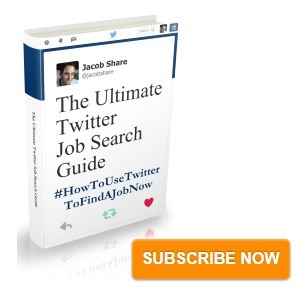 Free bonus: The Midlife Job Search Report is a handy guide I compiled for older job seekers. Download it now. Employers perceive older job seekers to be more expensive to hire. The prevailing notion in the market is that as an older worker, your salary expectations and use of healthcare benefits are higher. Naturally, you don’t want to undersell yourself. When asked about your preferred salary, give them a range you think they would be comfortable with, based on company research and job market research. Another way to offset this is to highlight your years of experience and all relevant skills in explaining how you could save the company money by replacing the need for additional hires or retraining of current employees. Another widely held belief is, that as an older person, your skills and knowledge are not up to date anymore. This could be true for some people who’ve been “jobless and hopeless” for a longer time and haven’t been keeping up with the latest developments, or even people who have been employed for a long time but never given the chance to retrain or refresh their skills on the job. However, it doesn’t have to apply to you. Find out which skills are currently in demand and are projected to be in demand over the coming year with regards to the job(s) you'd most like to get next. Then set aside some time every day to start learning or improving some of those skills, in part by showing them off publicly. 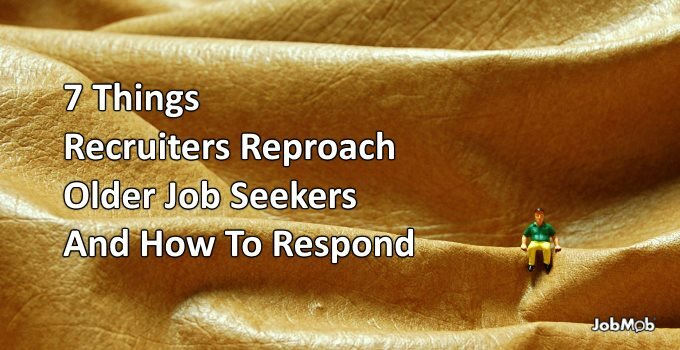 As soon as you're ready to answer expert questions about them, add them to your resume. By taking all the courses and training you need to keep your skills updated, you build up an unmistakable track record of adaptability that you can showcase during the application process. Do your homework about your desired position and the company you’re targeting, specifically. This way you’ll be armed with the background information necessary to show that you’re not stuck in old ways. It’s a good idea to describe yourself as a person who enjoys learning new things, whether in your resume or during the interview. A very common stereotype about older workers is that they're unwilling to learn new things. However, all reasonable people understand that there are both tech-savvy and tech-shy people among all age groups. Having an active brain and a willingness to learn is just a personal choice. If you can show the hiring managers that you're taking classes, attending workshops and studying for a professional certification, then they won’t hold your age against you. However, if the stereotype does describe you, then now is the right time to adjust to the ever-changing knowledge economy by learning something new. Productivity is often associated with high energy and busywork. As we age, we tend to become somewhat less dynamic but this doesn’t mean that your skills are declining. Over time, your strong points may shift to other areas. While you might be physically less powerful than the younger version of yourself, your semantic memory, pattern recognition, and language-related skills are likely to increase over time. And your biggest asset is arguably your many years of experience. Research has shown that older people use their brain in a different way, which makes them able to perform just as highly as their younger colleagues. Using your brain more holistically has taught you to see the bigger picture, to distinguish the important from the unimportant. And focusing on the few things that matter the most is what productivity is all about. The reality is that aging is often associated with declining health, and many employers fear you’ll take more sick days than your younger colleagues. It seems to be a valid concern, but the counter-intuitive truth is actually the opposite: older people actually take LESS sick days because they tend to lead more responsible lives. They have fewer things on their plate and know how to manage stress better. They have experiences with both ill health and good health, which has made them more in tune with their bodies and better able to manage their energy levels. If you are a healthy and energetic person, make sure to list your hobbies in your resume and bring them up in job interviews. Address the health issue first and put their mind at ease by letting them know they have nothing to worry about. You can have 20 years of experience and a lengthy list of achievements, yet recruiters are still reluctant to hire you. Why is that? They might fear that you have a chip on your shoulder when it comes to working with a younger boss, or simply – there it is again – that you're set in your ways and aren't open to newer ways. If you really have the know-how the company needs, this will be less of an issue. The interviewer may still try to gauge your attitude by asking questions like “how do you feel about working with a younger boss?” and if you can tell a story where you successfully did so, or better yet, have references who are younger bosses, you'll immediately calm their concerns. Which recruiter prejudice have you come up against most often? Some jobs require travel. There’s a belief that travel is something only more dynamic young people do, but we're not talking about backpacking here. Whether you prefer to never leave your hometown or not, depends on you. But as an older job seeker, you actually have an advantage over younger people: your children are most likely older or even grown up and living their own lives, no longer requiring you at home. There are probably less things tying you down. This makes you a) more flexible about travel or even, relocation, and b) frees up a lot of mental energy you can now solely direct on your work. Depending on the job in mind, use this as one of your selling points, and assuage any worries of unexpected emergencies that people with small children might have. Which of these hurdles have you come up against most? Tell us in the comments. What can Older Workers offer your company? A lot. 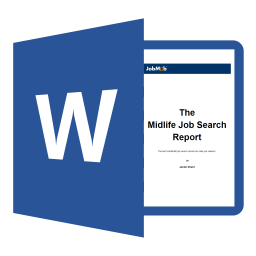 The Midlife Job Search Report is a handy guide I compiled to help older job seekers. Extra bonus: What does the older worker bring? 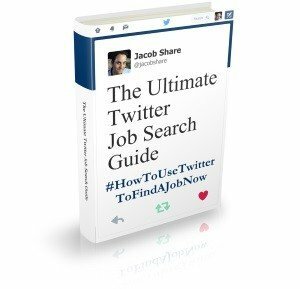 Subscribe to JobMob via email and follow me on Twitter for more funny tips on good decisions for your future. Some of those “recruiters” need to get their heads out of their butts! All of those things are patently false. That’s like saying all millenials are entitled or slackers. Either way it’s discriminatory. Quite frankly, i think most HR people are so arrogant it’s not even funny! Half of them don’t know what the hell they are doing. If you ask me, the actual hiring manager should be the ones applicants talk to, not some “suit” (yeah I know 80s talk) with a fancy-schmancy MBA degree in human resources. Secretaries can do their jobs, so they’re not so frickin’ special!!! You’re right that they’re (usually) false, but the best way to educate someone is to show them they’re wrong as opposed to just telling them, and even then it doesn’t always ‘take’. No recruiter has explicitly told anything about age but I am getting restless as to who really gets recruited for jobs posted online. Is it just a sham to show that they provide opportunities to everyone? If one has to recruit just by reference / internally then why advertise at all? This might appear as a rant but it holds to be true in my case. Hey Turab, it’s a very common frustration. On the one hand, recruiters need to show they’re open to everyone but of course that’s not really true; they already have ideal candidates in mind and anyone who doesn’t come close will be lucky to get a response at all- their time is limited just like yours. There are many reasons that a recruiter advertises publicly on a job board, and they won’t always satisfy job seekers. For example, some corporate recruiters will do it simplify to justify a dedicated budget which they will lose otherwise. Others have no real intention of filtering the candidates from the public ad unless they “hit the jackpot” and somehow snare a superstar. And the list goes on. I find your articles so informative and helpful. I look forward to receiving them in my inbox every week. Awesome article and comments – thanks! Recruiters will see on your resume when you graduated college, high school or even the first job you held. This is a dead giveaway as to how old you actually are. I keep getting you are over-qualified or exemplary resume when I interview. It is very frustrating these days to find a job. Education is an easy solve, leave off any graduation dates. Relative to first jobs as an age indicator, I never submit a resume with more than 15 years experience and usually I go back 10 years-most applications ask for same once you get to that stage of the hiring process so why open yourself to that potential pitfall when no one may be interested in that early work experience to begin with. Further, more recent job experience typically aligns to a new opportunity – ex you may have started in business function but moved on to another you that you align yourself to now so again that early experience may not be pertinent to the current opportunity. If pressed to go back further, I typically summarize job experience not jobs/companies per se. None of this has ever disqualified me from a company’s initial interest in me – the rest isn’t about your resume, it’s how you present and sell yourself.